Hey Andy! 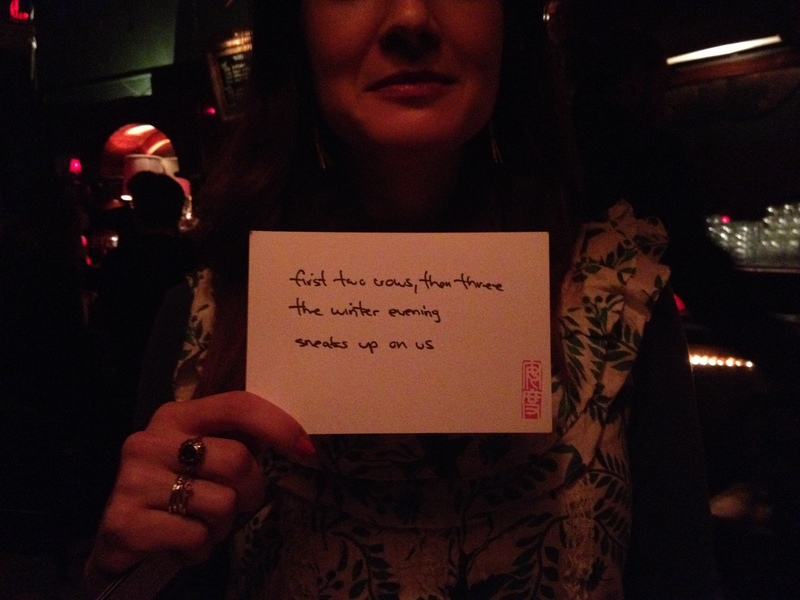 I got in to get my mail (Saturday openings again) and so I finally have your haiku card in my hot little hand! Thanks for sending it. I am posting it on my bulletin board at work- for folks in the library to enjoy. 🙂 (Mine was about Twitter hackers not doing haiku) Take care! Wow I sent that a long time ago! There’s a date code on the back. What does it say? Love the image and the haiku!